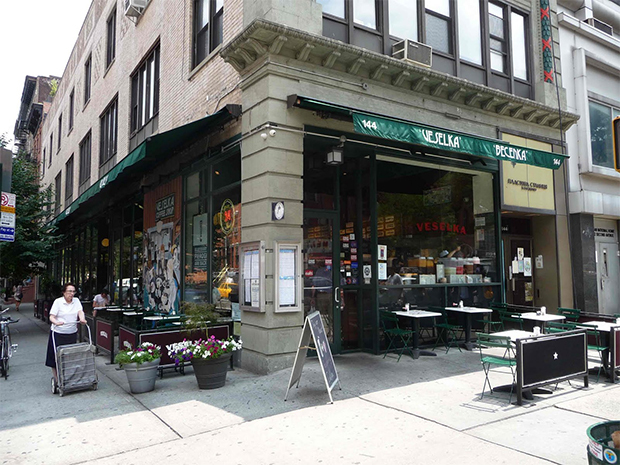 Veselka isn’t just the restaurant where Charlie spied on Dan and Blair in Season 4 of Gossip Girl. The family owned 24-hr Ukrainian restaurant is one of the last remaining Slavic restaurants that used to populate the East Village. It’s also the most famous, with celebrity regulars such as Michael Musto, Julianne Moore, Parker Posey, and Debra Messing. Personally, it’s the only place I can go to adequately satisfy my pierogi cravings.